Anthony Bourdain will undoubtedly be greatly missed. He ventured into the unknown and made us all feel a little more comfortable of the world out there. His magic was to unlock each of those places through the food, the people and the culture. In our bid to pay homage to the efforts of Anthony Bourdain, we looked at his CNN-approved favorite episodes of his Parts Unknown series. 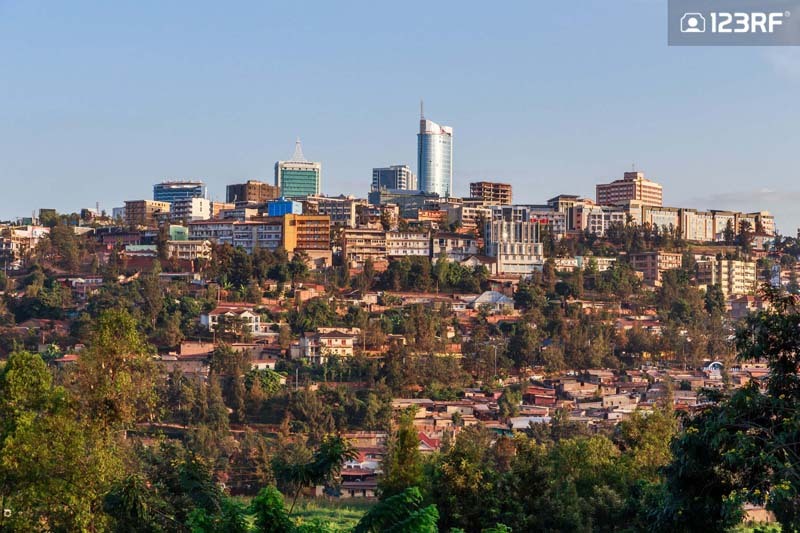 From that, we produced our take on top 10 cities to visit! Eat: Just as Anthony Bourdain did in his Parts Unknown shoot, you can begin your journey in the Seit Taing Kya Tea Shop, with a flavorful bowl of mohinga. This fish noodle soup is arguably Myanmar’s most popular dish, and when paired with some tea, there is no better way to kick start your day. 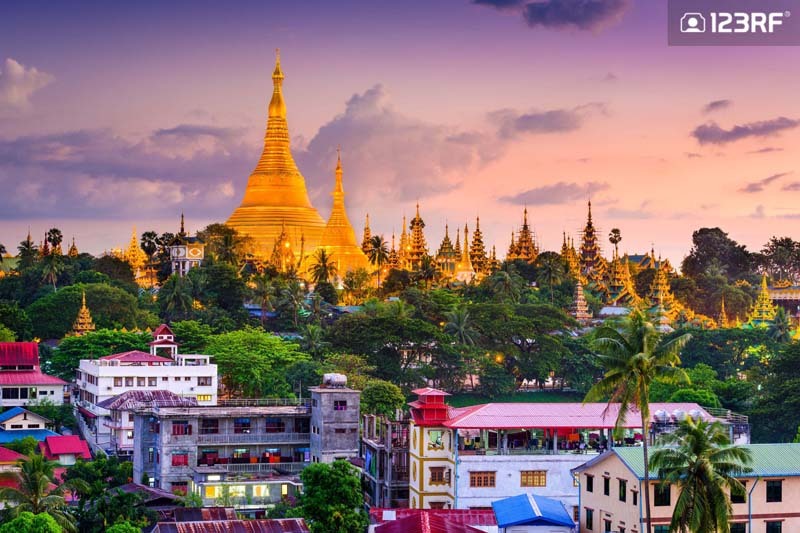 See: Next, a trip to the iconic Shwedagon Pagoda is compulsory. This sacred site is almost impossible to miss, as it simmers in the sun with its rich golden surface. Adorned with 27 metric tons of gold leaf, along with thousands of diamonds and other gems, it is little wonder why this is one of the most popular pagodas in the world. Do: To escape the hustle and bustle of Yangon, head over to the Kandawgyi Park. The vast land offers a section for leisurely strolls and the golden Karaweik Palace to immerse yourself in local culture. With plenty of restaurants, this is the best spot to chill out with a drink or two and take in the beautiful sunset. The Arch of Marcus Aurelius in the old Medina. Eat: Firstly, visit Barakoda in Tripoli to satisfy your seafood cravings. As Anthony Bourdain discovered, this coastal restaurant though, does not have a menu, as diners simply pick from the catch of the day. When Tony was here, the Libyan-style stuffed calamari was his go-to choice. 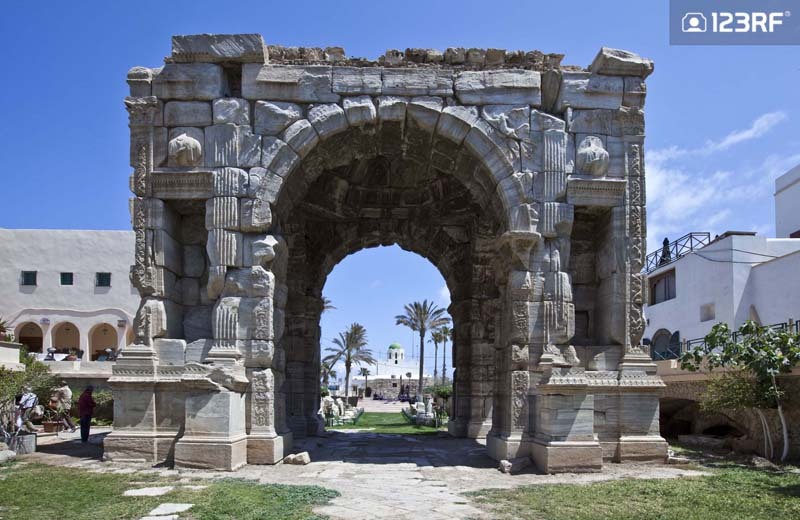 See: Until this day, Leptis Magna is widely regarded as one of the most intact example of a city under the Roman Empire. Hence, it is of little surprise that this one time monumental city is now a UNESCO World Heritage Site. For history buffs, the Arch of Marcus Aurelius is another prime example of the glory days for the Roman Empire. Do: During the 2011 Civil War, the Square was the prime location for anti-government protest and pro-Gaddafi support. In a bid to commemorate victims of the Civil War, this spot was renamed Martyr’s Square. When you are here, take a walk to relieve Libya’s past, cherish its present and anticipate the bright future of this beautiful nation. Eat: For a country so negatively stereotyped in the media, even Anthony Bourdain was surprised at the culinary innovation at hand. Brachetto is a reminder of hope in the city, as this establishment would even seamlessly blend in Milan. Run by an Italian chef, this restaurant dishes out delightful pastas and risottos. See: The majestic Congo River. Made famous by Joseph Conrad in his “Heart of Darkness”, this river separates the DRC from the Republic of Congo. On one end sits Brazzaville and on the other side is Kinshasa, the two capital cities. One was ruled by the French and the other was under the Belgium regime. Do: In 1989, the outstanding Ethnographic Museum was presented as a gift to the city, by the Belgians, to celebrate 25 years of independence. Furthermore, the museum now has one of the best ethnological and archaeological collections in the entire region. So be sure to explore the seven halls, each accommodating a treasured piece of history of this extraordinary nation. The Dome of the Rock and Wailing Wall at sunset. Eat: Happen to be a fan of hummus? Then head over to Pinati before your tummy growls. Locals swear by this delicacy as it is served with pita bread and a garlic-chili paste, to further accentuate the flavors. If you still have some space left, the moussaka and shakshuka are definitely worth sampling. 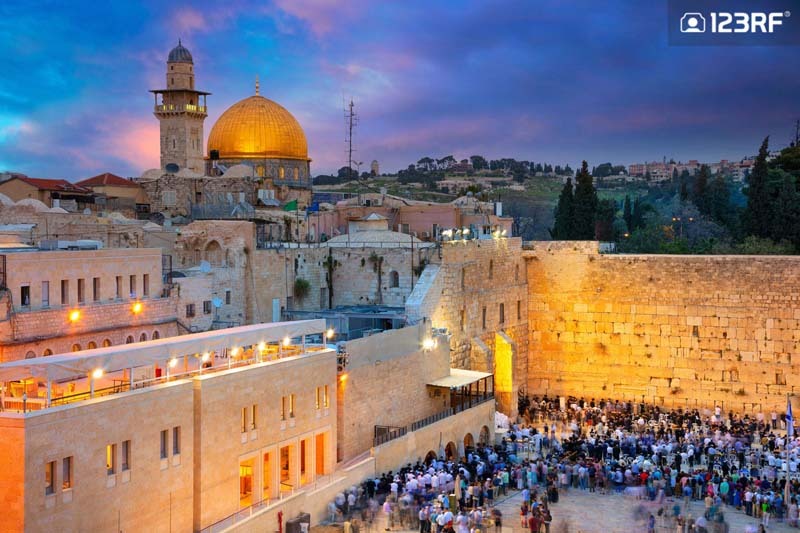 See: No visit to Jerusalem is complete without a trip to the Kotel, or the Western Wall. A short walk through the Old City of Jerusalem will lead you to one of the holiest place for the Jewish faith. When you are here, go by the tradition and write down a wish on a piece of paper, before sliding it through the cracks of the walls. Do: One of the best ways to explore the heart and soul of a city, lies in uncovering its markets. And Mahane Yehuda is no different. This is where Jerusalem meets, be it first time visitors or residents flooding their trolleys with produce. If this is your first visit, head directly for the classic pastries, while taking in the city’s distinct charm. 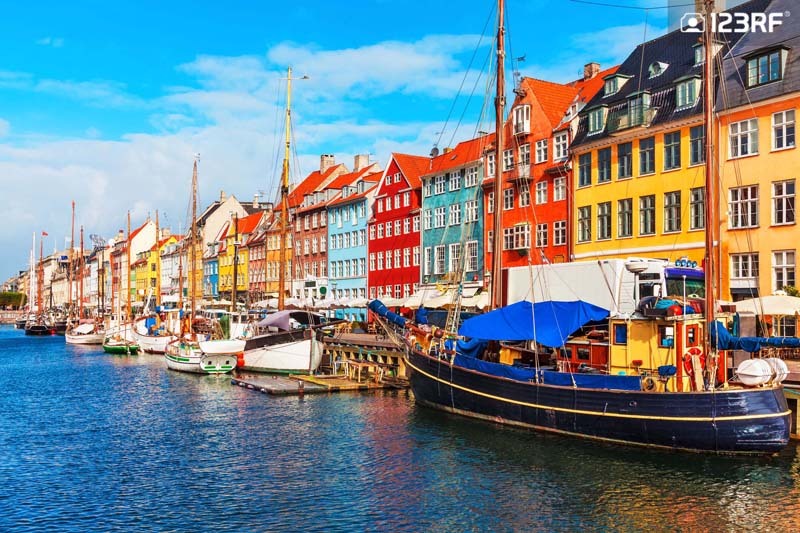 Scenic summer view of Copenhagen’s Nyhavn pier. Eat: Since opening its doors in 2003, Noma has attained the coveted title of World’s Best Restaurant on several occasions. Hence, chef Rene Redzepi then decided it was time for Noma 2.0. The result? This establishment has somehow, almost impossibly, raised the bar to become the world’s culinary mecca, leaving Anthony Bourdain in awe, once again. See: The sprawling Ny Carlsberg Glyptotek is one of Copenhagen’s most famous museums. The museum is not short on prestige as it is filled with sculptures and paintings by the likes of Rodin and Van Gogh, along with historic artifacts. Coupled with the modern glass-domed conservatory and a gorgeous cafe, this is the perfect place to be during the Danish winter. Do: Tivoli Gardens is Copenhagen’s and the world’s second oldest theme park, after the Bakken. However, Tivoli’s infectious charm, a romantic 19th-century representations of the Orient, has visitors pouring into Denmark just for the amusement park. To complete the experience, hop on the carousel or hold on to your wigs as you board the roller coaster. 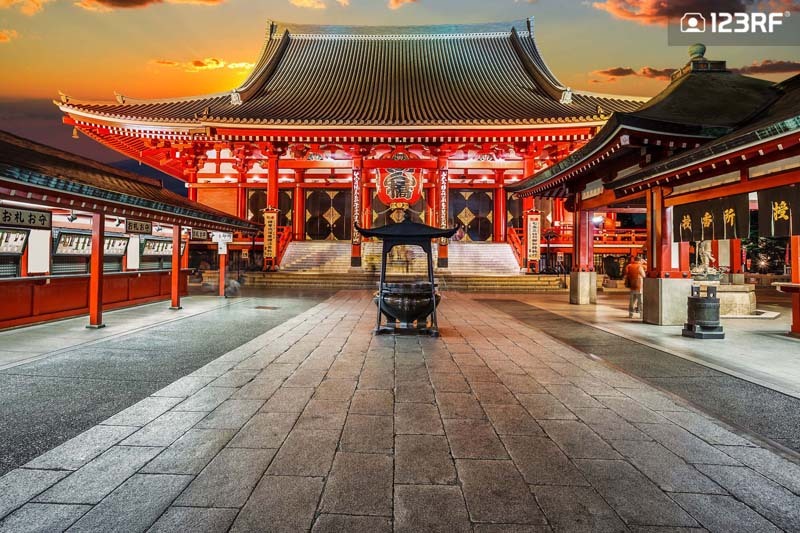 The spectacular Senso-ji temple in Tokyo. Eat: Tokyo’s Tsukiji Fish Market is much more than a mere business joint. To locals, this represents a cultural landmark and a cool breakfast spot! This iconic institution is a must visit for foodies, especially those looking to appreciate the entire process of what goes into that delicate bite of sushi. Be sure to hurry up, as the market is due for relocation before the end of the year. See: In the suburban stretch of Shinjuku, a white, five story high building is devoted to the works of artist Yayoi Kusama. The building accommodates intriguing artworks, including the ‘infinity room’, which took Instagram by storm upon its release. If you plan on stopping by, do arrive early, as due to the immense popularity, only 200 guests are allowed in each day. Do: Get some incense sticks and flutter around a large incense cauldron in Senso-ji. The temple’s recent renovation sees it having the second largest pagoda in Japan. Together with the serene atmosphere, this sacred site must be on the bucket list of every tourist. Golden Temple, the main sanctuary of Sikhs in Amritsar, India. Eat: When in Punjab, skip the marble tables and teak floorings of the swanky restaurants. Here, your dining experience revolves around the street dhabas. These roadside humble establishments serve up comfort food and hearty meals, in a fuss-free setting, where table manners matters just as much as the traffic rules do to cows. See: As Anthony Bourdain would describe it in Parts Unknown, you have to see the colors. The bright colors which pop and leap right at you. Royal blue costumes of the Nihang (Sikh warriors). Fiery red Punjabi suits and dazzling pink turbans exhibited throughout the city. Bright green paddy fields and vivid yellow mustard flowers as far as the eye can see. Or perhaps deep, dark green platters of melt-in-your mouth saag (a spinach based dish), topped with rich yellow spoonfuls of smooth ghee (clarified butter), accompanied with irresistible deep fried orange jelebi’s (mini Indian pretzel -like sweets ). In Punjab, witness the colors which celebrate life, like there is no tomorrow. 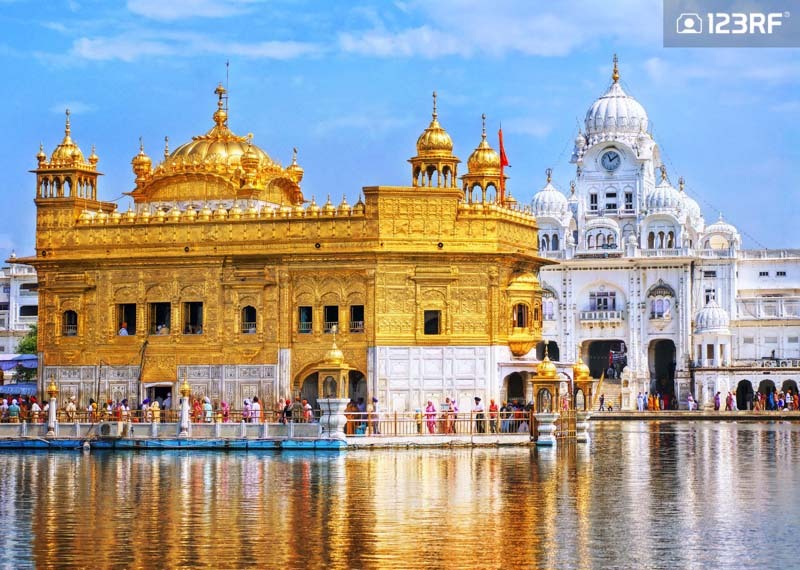 Do: Finally, take the time to spend at least half a day in the gorgeous sacred site of the Sikh religion, the Golden Temple. The massive complex in Amritsar is constantly packed as both locals and tourists flood to be a part of this blissful experience. Above all, no trip is complete without dining in the 24/7 operated community kitchen. The Golden Temple promises a humbling experience for any visitor, regardless of one’s background, skin color and bank balance. Here, the only currency that matters is your humanity. Basilica of Notre Dame de Fourviere in Lyon, France . Eat: Straight out of a Baroque theater set, the Auberge du Pont de Collonges attracts gourmets from far and wide wishing to savor the Holy Grail of gastronomy. Began by the chef of the century and the Pope of gastronomy, Paul Bocuse, the restaurant now seeks to carry on with his legacy. Situated just outside of Lyon, this restaurant will burn a hole in your wallet, but it is well worth every penny of it. 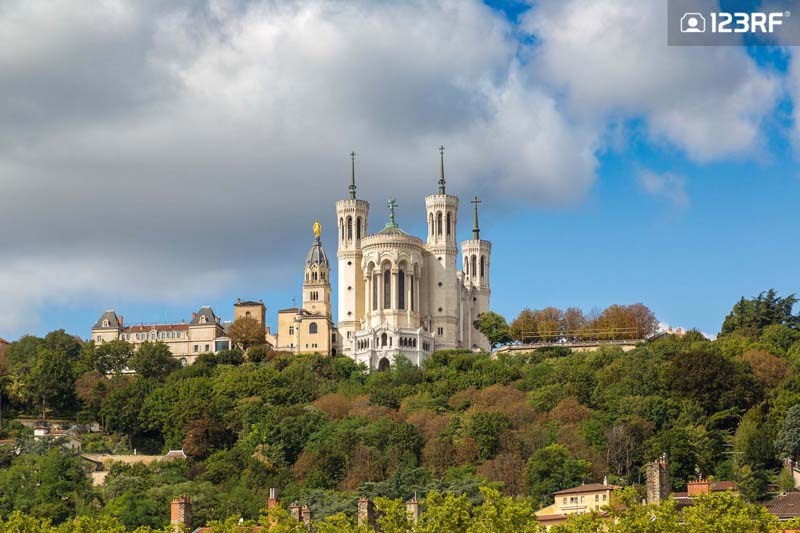 See: The magnificent Basilica of Notre-Dame de Fourvière is ever visible on the Fourvière hill. The church is part of a series of gorgeous hilltop churches built in major French cities during the late-19th century. When you are here, be sure to head inside to see the extravagant interiors and the Museum of Sacred Art. Do: To take in the mesmerizing views of Lyon, opt for a stroll down to the Saone river. With picturesque scenes surrounding you, this is perhaps one of the city’s most Instagrammable spots. If that does not float your boat, then why not hop on a cruise and laze around and nibble on stringy local cheese. Eat: Xiaolong bao (soup dumplings), is considered a staple for breakfast meals across China. And Anthony Bourdain’s choice to enjoy this treat is the Fuchun Xiaolong. Acknowledging the hype in their intense dumplings, the xiaolong bao’s here are sold by the half dozen, making it perfect for a hearty Sunday brunch. See: Cruise around in the serene water town of Zhujiajiao and admire the many fascinating canals, bridges and architecture in Shanghai’s very own Venice. 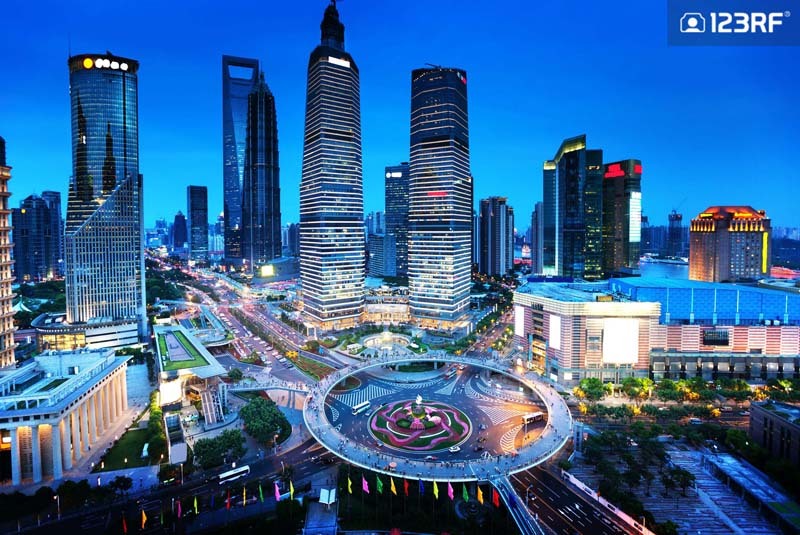 The Keizi Yuan area makes for a cool retreat with lush gardens and the tallest structure in the water town. Alternatively, the Fangsheng Bridge is the largest of the ancient 36 stone bridges found in the town, therefore, making this a historic landmark in the area. Do: Head over to Tianzifang and witness the hip cultural scene in this labyrinth of alleyways. This red bricked former residential district is now transformed into rows of trendy bars, cafes, boutiques, galleries and design studios. The ‘shikumen’ style architecture of houses also provide the opportunity to take some vintage photographs. A snow covered Alborz Mountains in Tehran’s background. Eat: Dizi Sara is famed for the classic ab ghoost. A mix of lamb, chickpeas, potato and tomatoes are cooked in a clay pot, before the flavorful broth is strained. Next, the remaining ingredients in the pot are then mashed together and eaten with some fresh herbs and pickled veggies. To fully enjoy the experience, be sure to head back to your hotel right away and spend the rest of your afternoon comfortably tucked in bed. See: The National Museum of Iran is filled with an impressive range of treasures. From Stone Age tools to primitive art, the museum features items from all areas of Iranian history. The building itself, which was designed with themes from the Sasanian architecture, is one of the city’s most renowned constructions. 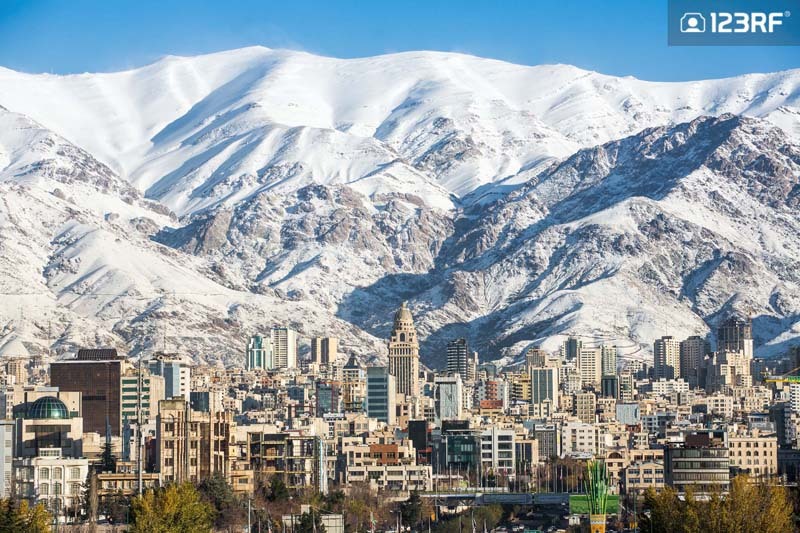 Do: Just north of Tehran, sits the impressive Mount Tochal on the Alborz mountain range. If you are up for a hike, then this staggering 3993 meters mountain would provide a decent challenge. However, if you are just looking for quick getaway, then hop on the cable car service. The breathtaking views are worth the ride. Packed your bags and ready to board the plane in search of the top 10 ‘Parts Unknown’ cities of Anthony Bourdain to visit? Well, before you leave, be sure to check out our guide on how to shoot great travel photos! And if you are looking to use this trip as part of a project to pay tribute to the great explorer, Anthony Bourdain, find out how powerful images can incite the storyteller in you.